The bond king has left the building. Should investors run for the exits too? Investors with money at Pimco are understandably queasy after legendary investor Bill Gross shocked the financial world by jumping ship on Friday. Some are already yanking their cash from the $2 trillion pile that Pimco manages. Others may even follow Gross to Janus Capital (JNS) where he's poised to manage a new bond fund. But Morningstar is warning investors to avoid overreacting. "Now is the time to reassess, but not panic. 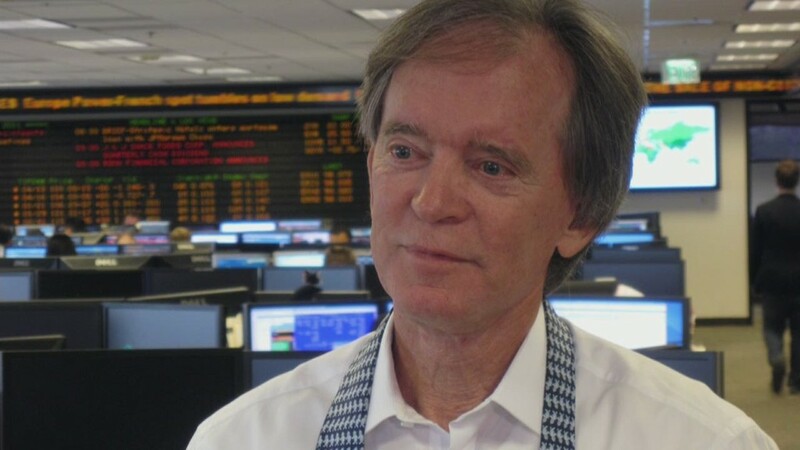 Yes, Bill Gross -- one of the world's greatest living investors -- is leaving. But there's a deep bench behind him," said Scott Burns, global director of manager research at Morningstar. Not telegraphed: It's clear Gross's departure caught many people off guard -- even the experts. Morningstar placed all 50 rated Pimco funds under review on Friday to give it time to weigh the news. "Fund managers leave but it's rare it happens at such a flagship like this. It's always better for investors when it's deliberate, planned and telegraphed," said Burns. He said it's possible tens of billions, if not hundreds of billions in Pimco funds may leave the firm with Gross. Of course, that's nothing new for Pimco, which has been rocked by 16 straight months of client outflows at its flagship Total Return fund. The Total Return fund is up 3.6% this year, but that's trailing its benchmark, according to Morningstar data. Pimco's outflow problems weren't helped by the surprise departure earlier this year of former CEO Mohamed El-Erian. His exit triggered a wave of negative stories suggesting Gross's erratic behavior was to blame. It's possible Pimco could benefit from fewer distractions now that Gross is gone. A successor named: The firm announced Friday afternoon that deputy chief investment officer Dan Ivascyn would take over after his boss's departure. Ivascyn, who has been at Pimco since 1998, was named fixed-income fund manager of the year in 2013 by Morningstar. His title will be "group chief investment officer." "As part of our responsibilities to our clients, employees and parent, Pimco has been developing a succession plan for some time to ensure that the firm is well prepared to manage a seamless leadership transition in its Portfolio Management team," said Douglas Hodge, one of the firm's co-CEOs, in a statement. When El-Erian left, Ivascyn was one of two deptuy CIOs appointed in his place. Andrew Balls, the other deputy CIO, will be one of five CIOs for different groups within the company. It's also worth remembering that Gross secured his reputation as a legend in finance after decades of success. The 70-year-old who founded Pimco back in 1971 isn't exactly a rising star anymore. "One way or another, this was coming to an end," said Burns. Jump to Janus? Gross's arrival at Janus is already generating serious excitement. The asset manager's shares surged 38% on Friday as Wall Street bets the blockbuster news will translate to greater profits. It's too early to say whether mutual investors should move their money to Janus. The release revealing the Gross move was short on details and the relatively young fund he's going to manage isn't even reviewed by Morningstar. Nor is it clear what strategy Gross plans to implement at Janus. Investors should also beware of the transaction fees that go along with moving money from one fund manager to another. "He's not even in the saddle yet," said Burns. CNNMoney's Melvin Backman contributed to this report.